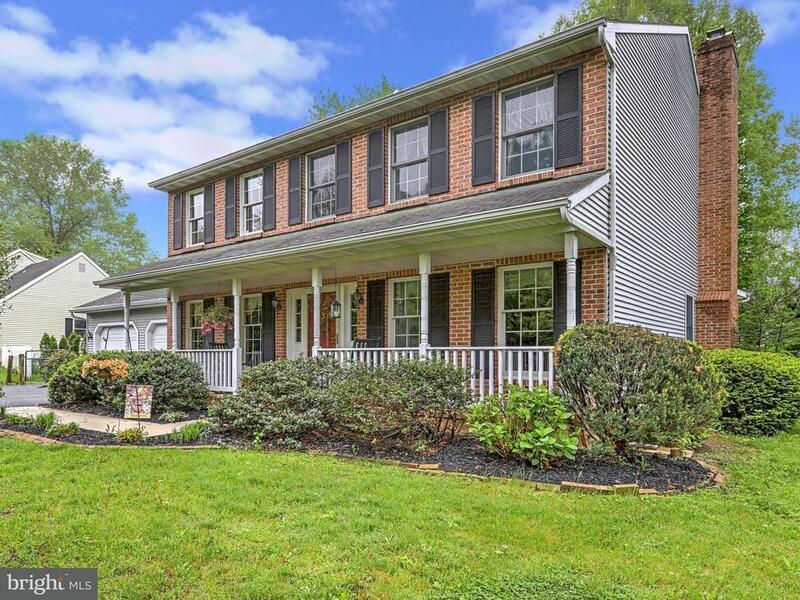 Welcome to this lovely brick front 4 bdrm 2.5 bath colonial near the Outdoor Country Club and minutes from I83, Rt.30, parks, schools and shopping. Oversized two car garage with a side parking pad ideal for a camper or trailer. Open floor plan great for entertaining. Extra Large Sun room with vaulted ceiling and skylights. First floor has a home office/hobby/playroom enclosed by double sets of french doors. Beautiful wood burning brick fireplace, ceramic tile kitchen and eat in breakfast area, formal dining room, laundry room with wash tub and lots of tall windows that bring in tons of natural light throughout. The master suite includes double door entry, two closets including one large California closet. The bath/dressing area includes a double sink vanity, jacuzzi tub with heat lamp. Large fenced in backyard features brick patio and walkway with some lovely shade trees and a storage shed. The back and side yard is securely fenced blending in with the natural landscape excellent for kids, pets and entertaining!